RIYADH, Saudi Arabia (AP) — Saudi Arabia’s prosecutor said Sunday that 17 people have been detained on suspicion of trying to undermine security and stability, a case activists say has targeted prominent women’s rights campaigners just weeks before the country lifts its ban on women driving. The statement from the Public Prosecutor’s office did not name those detained, and said eight have been temporarily released. Activists and rights group say that among those released are Aisha al-Mana, Hessah al-Sheikh and Madeha al-Ajroush— three longtime advocates of women’s rights who took part in the first protest in 1990 against the kingdom’s ban on women driving. A nurse and mother, Walaa al-Shubbar, who spoke out in support of women’s rights, was also briefly detained and released, according to rights groups. The statement said the accused admitted to communicating with people and organizations hostile to the kingdom, recruiting people in a sensitive government entity to obtain confidential information to harm the kingdom, and providing financial and moral support to hostile elements abroad. State-linked media have referred to the group as “foreign embassy agents” and branded them traitors. Among those detained since May 15 are Loujain al-Hathloul, Aziza al-Yousef and Eman al-Nafjan, according to people with knowledge of the arrests who’ve spoken to The Associated Press on condition of anonymity for fear of repercussions. The three women still being held are among the most well-known women’s rights activists in Saudi Arabia. Also believed to still be detained are Ibrahim al-Mudaimigh, a lawyer with a doctorate from Harvard Law School who’s provided legal representation to human rights activists in the kingdom; writer and activist Mohammed al-Rabea; and Abdulaziz al-Meshaal, a businessman and philanthropist who supported an effort by activists to establish a non-governmental organization to help victims of domestic abuse. Amnesty International and Human Rights Watch say Mohammed al-Bajadi, a founding member of the now-banned Saudi Civil and Political Rights Association, was arrested on May 24 as part of the current sweep against activists. Rights groups say the arrests appear to be politically motivated and are an attempt by Crown Prince Mohammed bin Salman to silence dissent as women prepare to drive for the first time in the country on June 24. 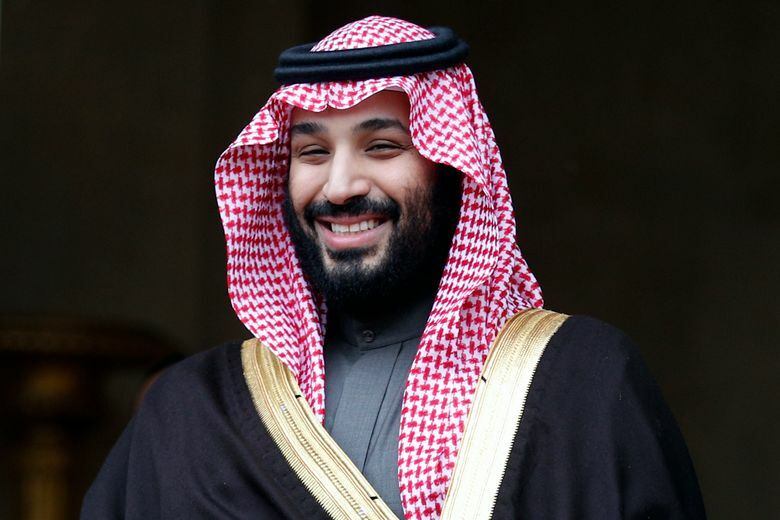 While the young crown prince has been credited with taking steps to modernize the country, including the decision to allow women to drive, he’s also cracked down on perceived critics and well-known activists agitating for more. Several of the detained women are seen as icons of the Saudi women’s rights movement and had called for an end to guardianship laws that give men final say over whether a woman can marry, obtain a passport or travel abroad. Their movement was seen as part of a larger democratic and civil rights push in the kingdom. Their advocacy, though tempered in recent years due to fear of arrest, represented one of the last remaining spaces of activism in the kingdom, where all protests are illegal and where all major decisions rest with King Salman and his son, the crown prince.